There’s a content marketing misconception that needs to be resolved. It’s a false belief that conservative brands can’t create interesting, compelling, and popular online content. Far too often “conservative” is misinterpreted as “boring,” which leads to more reserved brands to believe they can’t use content marketing to attract attention online. Content doesn’t need to push the envelope or be irreverent, emotional, shocking, or outrageous to catch attention. Many brands are creating powerful content that stays true to their traditional brand values while still engaging audiences, boosting their brand, and fueling their content marketing funnel. Conservative content can and does work. While creating provocative content works for some brands, there are multiple reasons why it doesn’t work for every brand. Some brands have no choice but to stick to a more conventional approach to their marketing and advertising. In highly regulated industries, like financial services and pharmaceuticals, there are strict limitations on advertising. This limits the marketing messages that can be used in branded content and puts restrictions on content creation. Other industries and brands aren’t under legal restrictions, but simply choose to use a more buttoned-up brand voice and messaging. These brands often choose to create conservative content so they can stay in line with their company’s traditional culture and values. Some brands may want to push the envelope when it comes to their content creation but find resistance in the corporate approval process. Many large corporations and Fortune 500 brands have multiple levels of approval for advertising and marketing content. More conservative content is more likely to make it through this approval process, which pushes marketers to stick with what they know will be easiest to get approved. Choosing a conservative approach isn’t always meant to please regulators and corporate policies. Many brands stick with traditional marketing messages because that is what their audience wants to see. For brands with a conservative customer base, it’s often best to take a more conventional approach to marketing. Customers who prefer a more traditional marketing approach often include other businesses. Business-to-business brands usually need to take a more conservative marketing approach, whereas consumer-facing brands can have more leeway. B2C brands tend to take greater risks with their marketing than B2B brands. When brands join forces to cross-promote a product or service, they must compromise on the type of marketing and advertising material they use. If one brand is more conservative than the other, the edgier brand will likely need to tone down its messaging for the partnership to work. This may also be a factor for third-party distributors who resell other brands’ products and have promotion rules and restrictions. Multiple factors impact a brand’s ability to push the envelope when it comes to creating content. But just because a brand needs to stay somewhat in the box, that doesn’t mean it can’t create compelling, interesting content that audiences love. Many conservative brands have found success in content marketing by focusing on giving audiences what they crave. Here are a few ways their approaches have worked. Insurance is one of the most conservative industries, yet Allstate has found a way to lighten up the traditionally conventional space. With its series of “Mayhem Is Everywhere” videos, Allstate distributes content that is fun, entertaining, and tied to its core message without being over the top or offensive. It’s humor that is relatable and has mass appeal, so it can capture attention and reinforce branding. Allstate’s “Mayhem” videos work on two levels: They create memorable television ads as well as interesting online content that is relatable and fun to share. International Business Machines Corporation sounds like a rather flat and subdued business. But IBM has found a way to make its hardware, software, and consulting company interesting. With its Big Data and Analytics Hub, IBM shares deep data resources and reports in dozens of industries and technology sectors, from business intelligence to predictive analytics. The Big Data Analytics hub houses blog posts, infographics, reports, podcasts, white papers, and webcasts, making it a digital destination for their ideal customers of developers and technology officers. Financial institutes have many regulations and rules when it comes to their advertising and marketing efforts, which makes it a difficult industry for content marketing. But that doesn’t mean they can’t do it and do it well. T. Rowe Price took an educational approach to its content marketing efforts and created microsites focused on helping audiences grow their financial literacy. 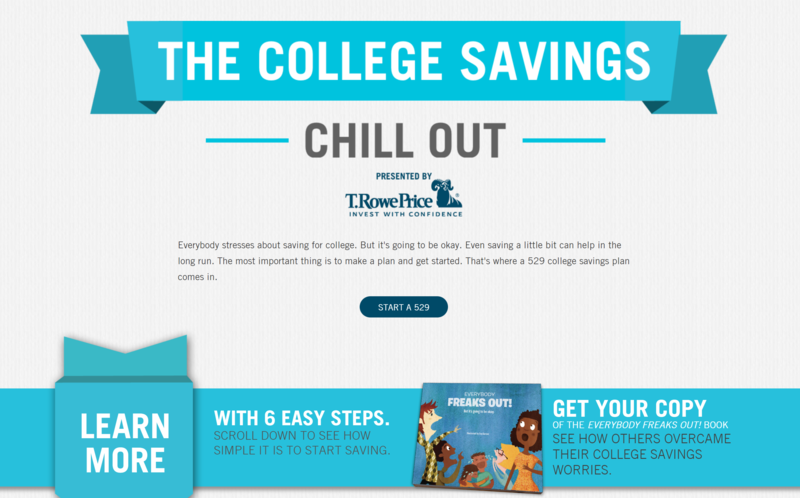 For the topic of college savings, it created The College Savings Chill Out website. Exxon is very conservative in its communication with customers and the public. They are also in an industry that can be difficult to make appealing to the masses, so it found a way to connect with audiences by showcasing a more interesting, human side of its business. On its microsite, Be an Engineer, Exxon gives an interesting look at the people behind its brand and their roles within the organization. The site features a “Meet the Engineer” section as well as resources on how to become an engineer. While Exxon’s industry, products, and services are somewhat mundane, it found a way to pull the most interesting piece out of its organization and put it front and center. And at a time when interest in engineering education is growing, it has found a way to create conservative yet culturally relevant content. Inspiring awe doesn’t necessary mean sharing something that is outrageous or over the top. You can fill audiences with awe by showing them something beautiful. A brand that does this well is L.L. Bean. As a conservative brand with many traditional customers, L.L. Bean sticks to its roots by maintaining a reserved brand experience. But this conservative approach to content doesn’t stop the company from connecting with audiences. L.L. Bean uses beautiful images and photography from landscapes, home decor, and fashion to captivate audiences on Pinterest. The L.L. Bean Pinterest page has more than 5 million followers, proving that you can stick to your conservative ways while remaining relevant, interesting, and engaging. Investment company Betterment found a way to connect with its audience while adhering to strict financial industry marketing rules and regulations. They created a digital resource center that helps potential customers find answers to their questions about investing. 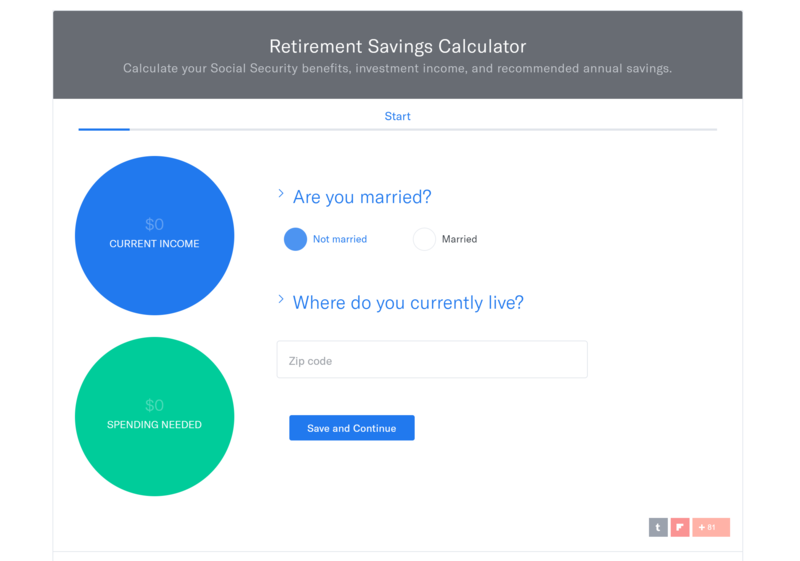 Tools like its Retirement Saving Calculator make it fun and simple to work through traditionally complicated financial concepts. By turning complex topics into step-by-step interactive content pieces, Betterment is able to provide value and engage its target audience all while staying true to brand values and industry rules. Fractl has worked with many brands to push the envelope and create emotionally driven and nontraditional content pieces that go viral. But we have also successfully created campaigns for more conservative, Fortune 500 brands that needed more reserved content. eBay wanted to attract attention online without going over the top with its content. 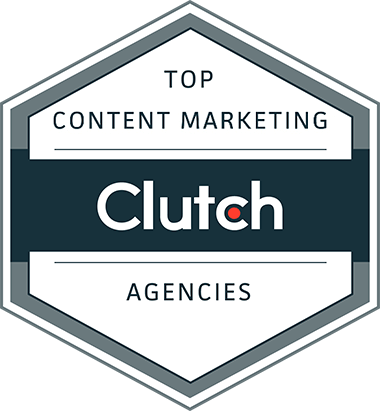 We worked with them to create content marketing campaigns that took a conservative content marketing approach while still being able to generate over 1 million page views and 50,000 social engagements. Our successful campaign execution drove significant growth in SEO clicks and growth in sales for eBay Deals over the course of a year. Here is a sample of some of the more conservative campaigns we’ve created for eBay Deals. 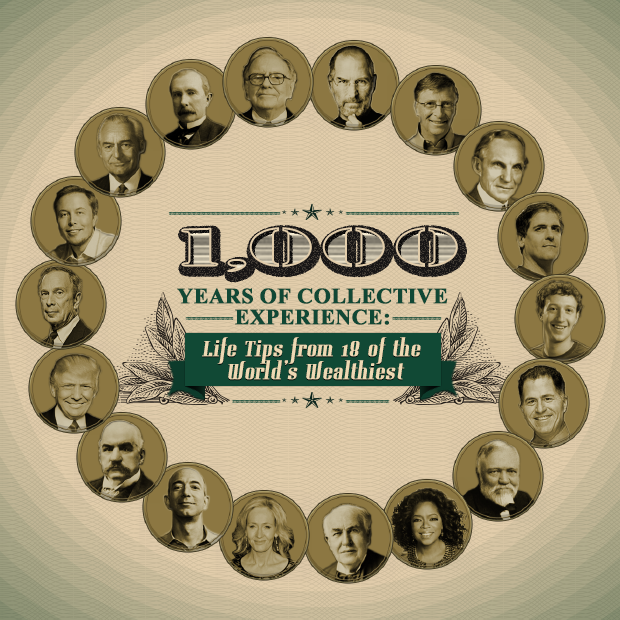 For our campaign 100 Simple Tips From the World’s Wealthiest, we created an in-demand compilation of more than 100 quotes from successful businesspeople, authors, actors, and entrepreneurs. It was so well presented that it was featured on 100-plus sites, including LifeHacker.com, Entrepreneur.com, Yahoo.com, Success.fm, NBCNews.com, CEO.com, and Reuters.com. 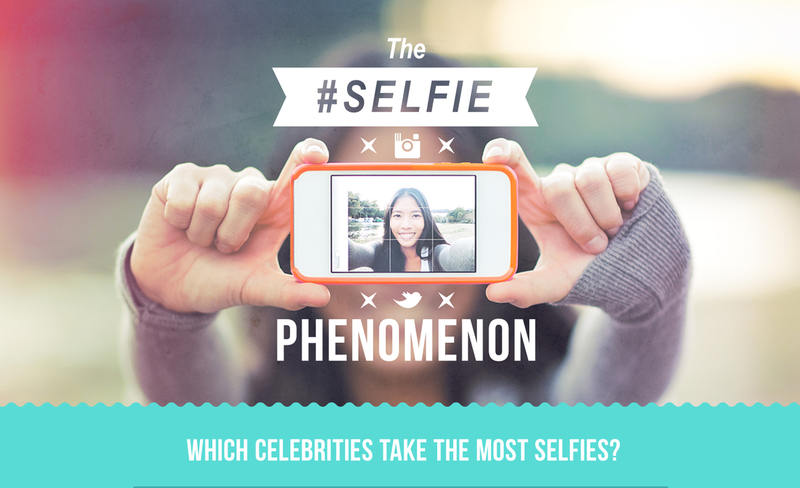 We created a hugely successful eBay Deals campaign, The Selfie Phenomenon, which chronicled the phenomenon of selfies. It received 120-plus pickups, including Today.com, Mashable.com, HuffingtonPost.com, Hollywood.com, DailyDot.com, FastCompany.com, Celebuzz.com, CafeMom.com, SocialMediaToday.com, MSN.com, and TheChive.com. 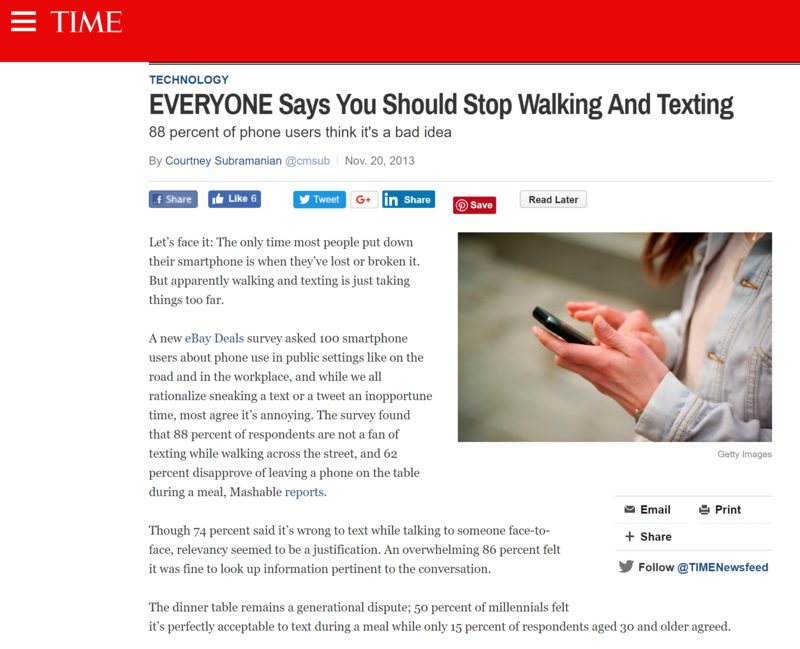 The statistics behind public opinion on the usage of smartphones during various moments and situations proved an engaging topic for our Smartphone Etiquette campaign, which received 80-plus pickups and was featured on sites such as Time.com, Mashable.com, TeamCoco.com, SocialMediaToday.com, and Ragan.com. When DirecTV and The Discovery Channel teamed up to create the documentary “Racing Extinction,” they wanted to promote the movie and create mass awareness while remaining true to their traditional brand values. 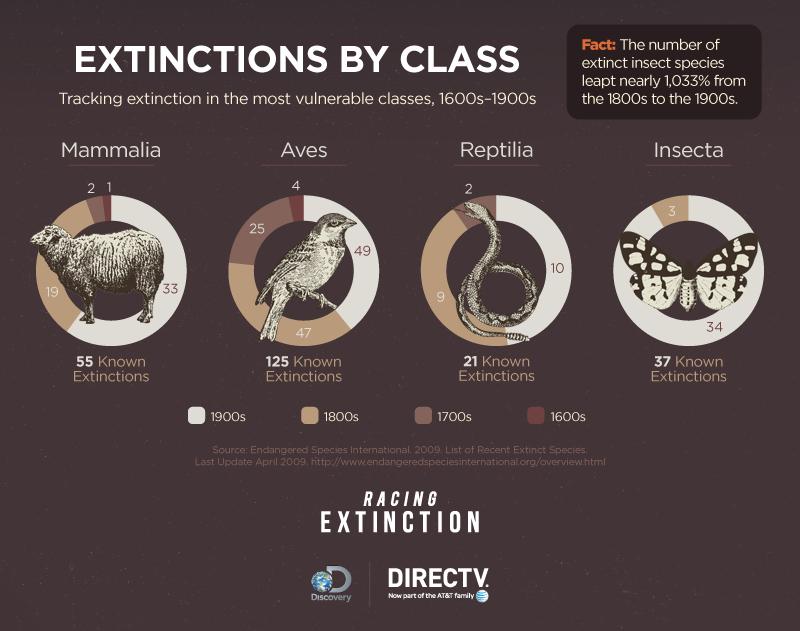 We worked with them to launch the Gone Forever: Extinction Trends Throughout History campaign that was able to do both. We combined long-form, on-site content with aggressive off-site promotions that delivered incredible results for both brands in the form of 70 press mentions, including placements on Fast Company and Quartz. Our additional in-house promotions increased awareness and attracted viewers to the documentary as well, making it the most-watched cable documentary film premiere in more than three years. As you can see, the idea that “conservative” content must be “boring” content is a big misconception. You don’t need to create flashy, outrageous, or shocking content to catch attention. Many traditional brands are finding content marketing success by sticking to their core values and traditions and creating data-rich, educational, interesting, humorous, and awe-inspiring content. Our creative team has a special talent for identifying ideas that are tangentially related to your service offerings yet also have the potential to engage a large audience. Reach out today to learn how we can create engaging content that aligns with your company’s unique voice and messaging.